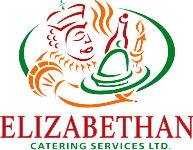 Mission Statement - Elizabethan Catering Services Ltd.
To provide exceptional value to our customers, using the best and freshest ingredients, superb service staff and equipment. To strive to be the leader in the Catering Business, by constantly striving to be the best at what we do, and by searching for ways to improve. To be completely driven by comments from Customers. To immediately react positively to any negative feedback. To both resolve it quickly and learn from it. To not repeat it! To care about everything that we do, with both the Customer and Company best interest in mind. Being in business is a privilege, not a right. The rules of business have to be followed explicitly and ethically, at all times. To strive to make sure everyone benefits from the Company’s Success. Staff. Company. Customers. Community. Suppliers. To have a positive impact on the Community by offering support whenever there is judged to be a need and to do so quietly. To expect reasonable profits for our services, not an unreasonable one.